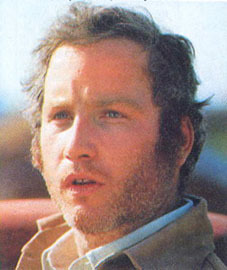 Academy Award winning Actor, Richard Dreyfuss, star of hit movies such as Jaws, Close Encounters of the Third Kind and Mr. Holland’s Opus, suffers from bipolar disorder. Dreyfuss, 66, first spoke publicly about his disorder in the 2006 documentary The Secret Life of the Manic-Depressive. Since then, he’s been sharing his personal struggles at conferences around the country to illuminate the discussion on depression. As an actor, Dreyfuss was on top. At the age of 30, he won the Best Actor Oscar for 1977’s The Goodbye Girl. Starting at the age of 14, Dreyfuss realized he was living with a roller coaster of emotions. He would have lots of energy and feel great, then suddenly feel down and anxious. During his happy days, “I was thrilled with my life entirely too much,” he said. This entry was posted in Awareness, Bipolar and tagged Richard Dreyfuss. Bookmark the permalink.